Fireflies are great! In August and September they flit around the back yard, lighting up in a joyful display. I adore fireflies. Did you know that they look like black beetles with orange stripes on their heads? Fireflies are in the Lampyridae family. 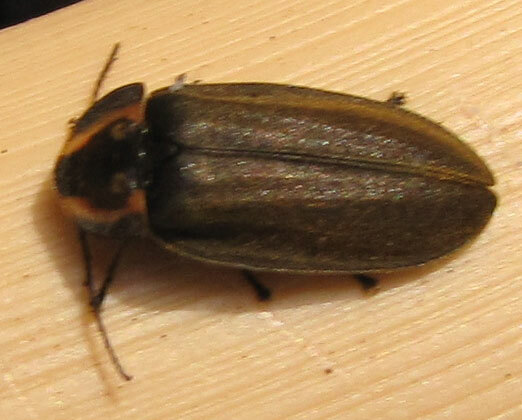 This one is specifically a Diurnal firefly (Ellychnia) and more specifically a Ellychnia corrusca. Diurnal means something that is active during the daytime. This was sitting on a planter right next to its relative, the Net Winged Beetle!